If you thought you knew Prosecco, think again. Fresh and fruity, this Italian sparkling wine is fun, but the star wines of the classic hillside regions of Conegliano and Valdobbiadene are serious contenders for some of the best bubbly wines out there. Elegant, floral, and mineral, Prosecco Superiore can go glass to glass with other classic sparklers, its effervescence, body, and balance a reflection of these classic winegrowing areas, tradition and TLC in winemaking. Americans have been fascinated by Prosecco for decades, closely linked to the Italian ideal of “La Bella Vita”, the good life. Right after the end of World War II, Prosecco first captured the world’s attention through the Bellini, the famous cocktail invented by Harry’s Bar in Venice. Then on its own merits, this fresh and fruity sparkler continued to climb in popularity in the US, becoming the top selling sparkling wine over the past few years. Light on the palate and pocket, with most bottles selling for $15 or under, Prosecco’s popularity has continued to rise. But not all Prosecco are created equal. The best Prosecco captures the essence of the Veneto, the Northeastern Italian countryside from where it comes, redolent of golden apple and pear, fragrant with white flowers and notes of citrus, crisp with a mineral vein, and a lingering finish, through an effervescent bubble stream that tickles the nose and palate. 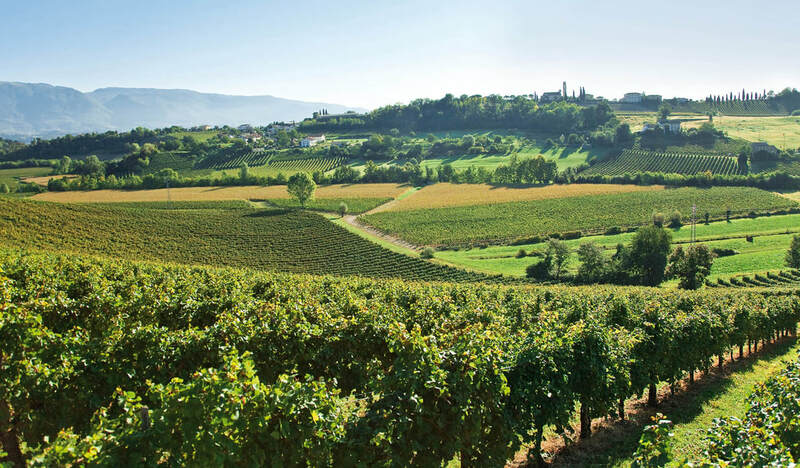 In the ancient hill towns of Conegliano and Valdobbiadene, where vineyards cling to the steep hillsides and bask in the mild climate and full sun, still wine has been made for over 1,000 years. 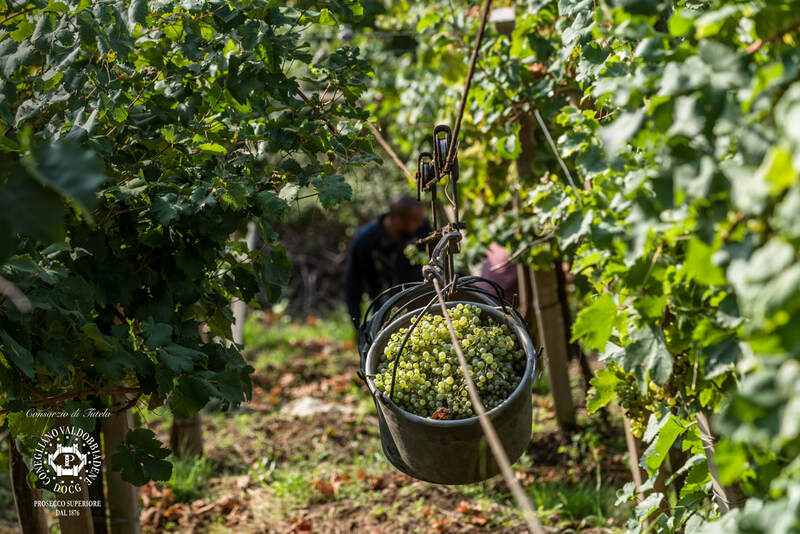 With technological innovation over 200 years ago, Prosecco was born. Yet winegrape growing has been frozen in time, with steep vineyards resisting any effort to modernize. Here, heroic viticulture requires good balance and no fear of heights, while hand-harvesting the grapes demands ingenuity, as in buckets hoisted up with pulleys to a waiting tractor bin. Young and charming, Prosecco sets itself apart from the traditional method sparkling wines, such as Champagne, through its flavor profile, which is directly related to its production method. Prosecco’s fizz is produced by secondary fermentation in large steel tanks or autoclaves, known as the Charmat method, that keeps the wine under pressure until it is ready to be bottled, preserving the fresh fruity character of the Glera grape. But secondary fermentation in the bottle is also a viable option for the higher quality Prosecco Superiore, which gives the wine a complex character through extended aging. 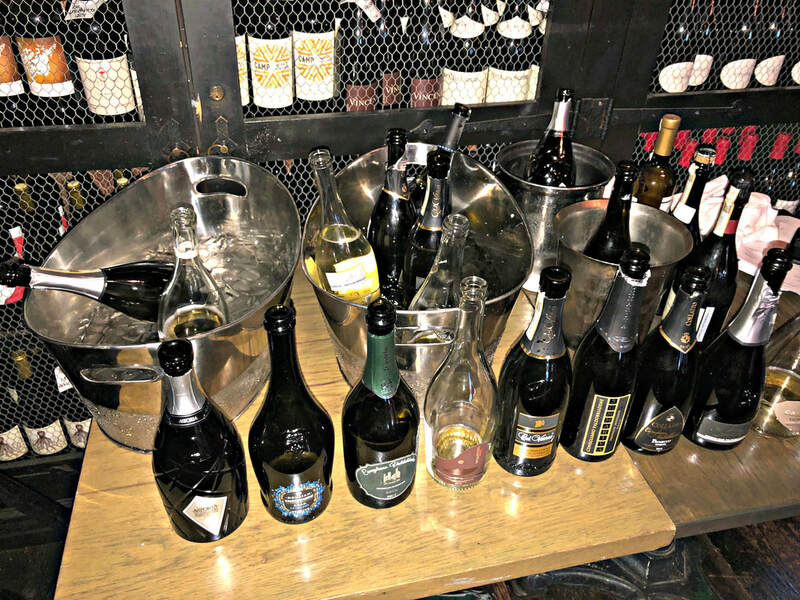 Although Prosecco is wildly popular, in the past decade, there has been some confusion, since the grape varietal, region, and wine were all labeled Prosecco. So in 2009, the wine producing regions were more clearly drawn, with the highest quality DOCG wines coming from the classic hillside areas of Conegliano and Valdobbiadene. The grape varietal was renamed Glera, but the name of the wine remained Prosecco. 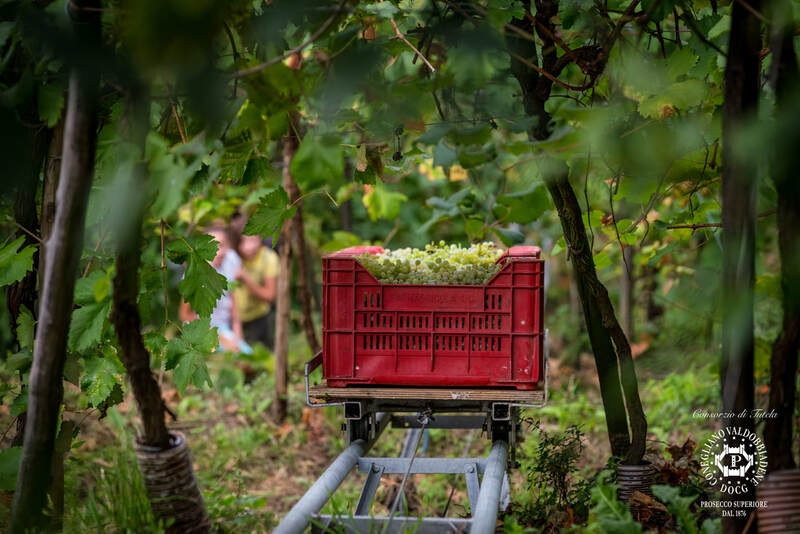 Riding the wave of demand, the highest quality Conegliano Valdobbiadene wines saw a big jump in production from 2015 to 2016, from 25% of all Prosecco produced to almost 30% of the current crop. The Prosecco DOC/DOCG label reflects a commitment to quality wine from nine provinces in the Veneto region, and can be made in three styles. Spumante is sparkling, with a fine, long-lasting bubble stream, and can be either Brut, Extra Dry, or Dry, a designation of the sugar content in the wine, with dry actually the sweetest wine. Frizzante is semi-sparkling, with a lighter bubble stream that dissipates quickly. And Tranquillo is a still wine, bottled right after the first fermentation. The Glera grape makes up the majority of the blend, at least 85% and up to 100%, with other approved grapes rounding out the mix. Prosecco is often at its best when consumed in the year after the vintage on the bottle, expressing its fresh and fruity fragrance, but Millesimato, or single vintage wines, benefit from aging, yielding a more complex sparkler. The thirst for quality and value is driving many consumers to take a second look at these Prosecco wines. Within the Prosecco quality pyramid, the base is formed by Prosecco DOC, the most common wine from the flatlands. 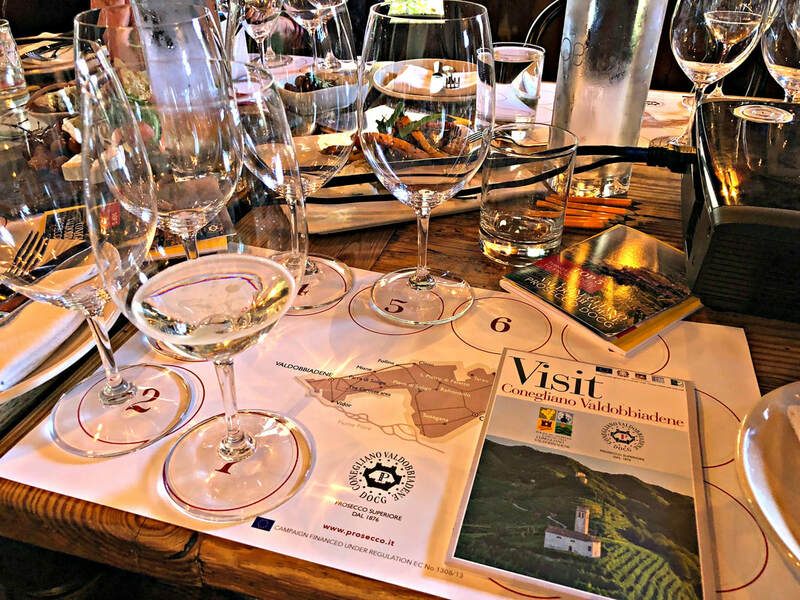 Moving up to the DOCG wines, 15 communes or villages make up Conegliano Valdobbiadene Prosecco Superiore, while a step above, Prosecco Superiore Rive from 43 specific sites in individual towns and hamlets, and the jewel in the crown is the Cru single vineyard Valdobbiadene Superiore di Cartizze. 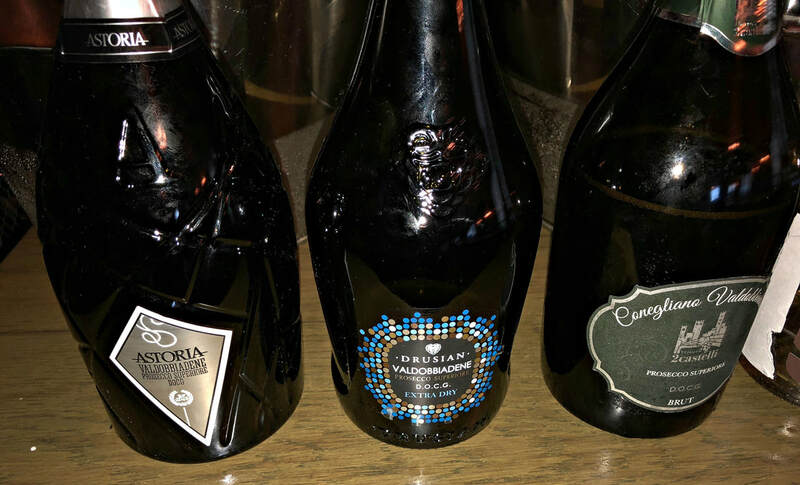 Recently, I had a chance to explore these superior quality Prosecco wines at AOC Restaurant in Los Angeles, in a master class conducted by Alan Tardi, a wine and food writer who is currently the Prosecco US Ambassador for the Conegliano Valdobbiadene organization. What really sets Prosecco Superiore apart is the “difference in personality”, according to Tardi, “the primary floral and fruit character can be complex and subtle.” He explained why wine drinkers should seek out these wines, “It makes a really important, fundamental difference, because it’s not just about regulations or aging, it’s about growing area. 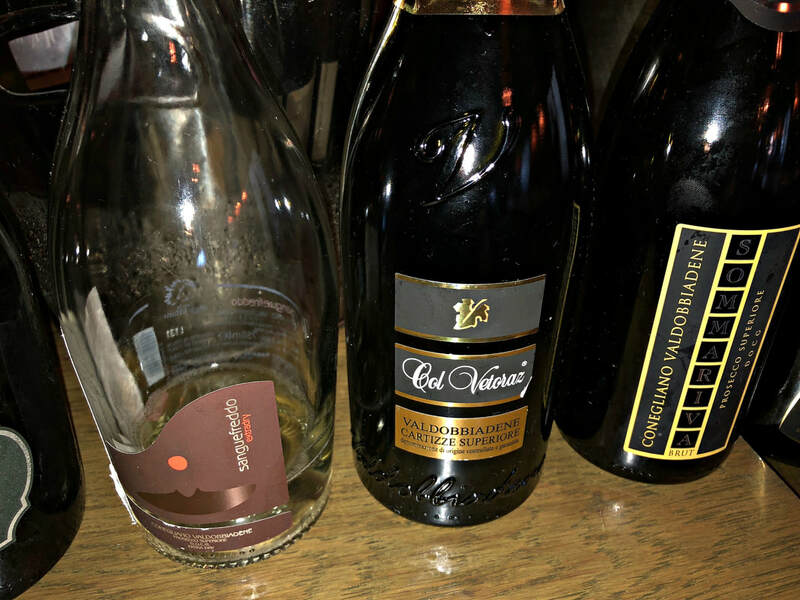 For anyone that cares about wine, where the wine comes from obviously makes a huge difference, because it’s an expression of a particular place, tradition, and vintage.” And so only Conegliano Valdobbiadene Spumante DOCG wines can be labelled Prosecco Superiore, displayed on the DOCG strip on the bottle. These hand-crafted wines reflect the close relationship between growers and winemakers, with over 3,400 growers tending the vines for 600-800 hours in a season, providing fruit for 178 wineries, they are united in their goal to elevate classic Prosecco above the simpler DOC wines. so effervescent and elegant, floral, mineral, great balance and a touch of creaminess, long finish, holy smokes, this is fantastic! Worthy of gracing dinner tables and celebrations from coast to coast, these high quality beauties bring a new dimension to Prosecco wines, most for under $20. Time to celebrate in style!